Subscribe via your favorite podcast app or listen in the player below. 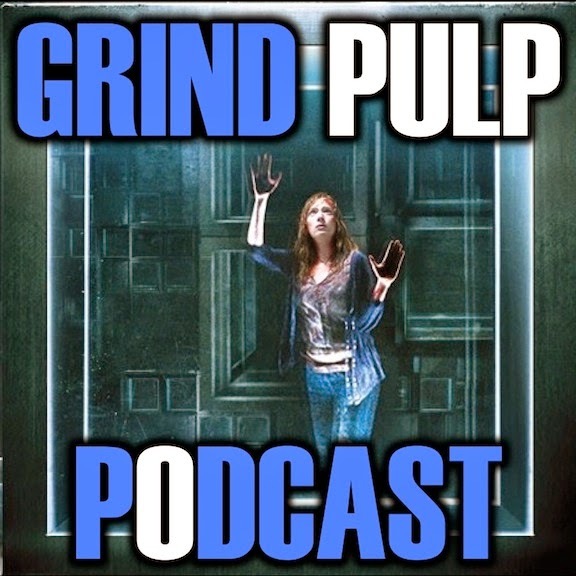 Join the Grind Pulp Podcast crew as we dig into The Cabin in the Woods. Jeronimo Brown and Manga Matt go down a dark path as they discuss this Grind Pulp movie, causing Andrew to... Listen in to find out what happens. Tune in for our follow-up to this, Episode 19: Part 2 – where we discuss five short stories, coming later this week. It’s summertime, and we’ve got a lot of things going, but we will be recording Episode 20. Look for it soon. I can't help but feel that Jeronimo spent more time overthinking this movie than simply enjoying the concept and the clever deconstructing of all those brain dead horror movie we've gotten the past 30 years. I loved CABIN IN THE WOODS myself and I am notorious hard to satisfy when it comes to horror movies. But this one? It's got a place of honor in my home movie library. And I'm actually glad as hell that the movie is just a one-shot with no sequel or TV series to follow. I wouldn't want to see this concept turned into a cheap joke by milking it for numerous sequels or a TV series. CABIN IN THE WOODS is incredibly smart, funny and totally satisfying to me on all levels.